Small Business Saturday - Shop for a cause! - Yankee Golden Retriever Rescue, Inc.
Blog > Events > Fundraiser > Small Business Saturday – Shop for a cause! Small Business Saturday – Shop for a cause! Support local small businesses in Hudson MA by shopping at Golden Goodies Boutique on Small Business Saturday, November 24 from 1-4. Shop for a cause! Discounted items, specials, and light refreshments will be served! Golden Goodies is the retail shop for Yankee Golden Retriever Rescue. 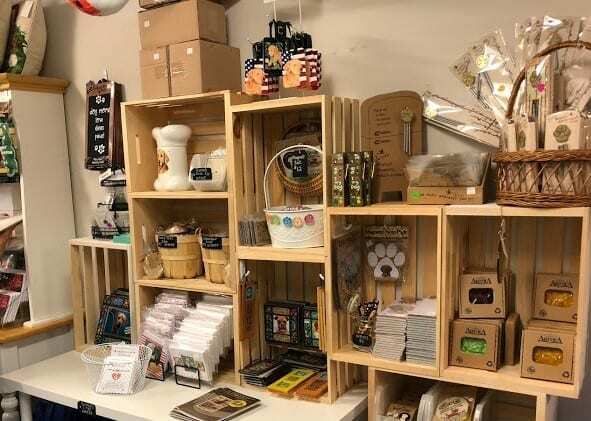 Hundreds of dog-related items fill our small boutique shelves.100% of all profits go towards the care of our rescue dogs. If you can’ t join us today, we will be open again Saturday December 8 from 1-4. Shop online anytime! browse the pages of our webstore for an idea of what you will find on our shelves.www.ygrr.org/store. Touchstone Crystal by Swarovski will be here today only! 20% of all sales will be donated to YGRR in memory of Lucky, YGRR#5468. Register for Event: Small Business Saturday – Shop for a cause!